Librarian Travels: Global Biodiversity Heritage Library Meeting in Australia, part 1. I recently returned from a trip to the global Biodiversity Heritage Library Meeting in Australia. The kick-off was "BHL Day" on 31 January 2014 in the Melbourne Museum, Melbourne, Australia. 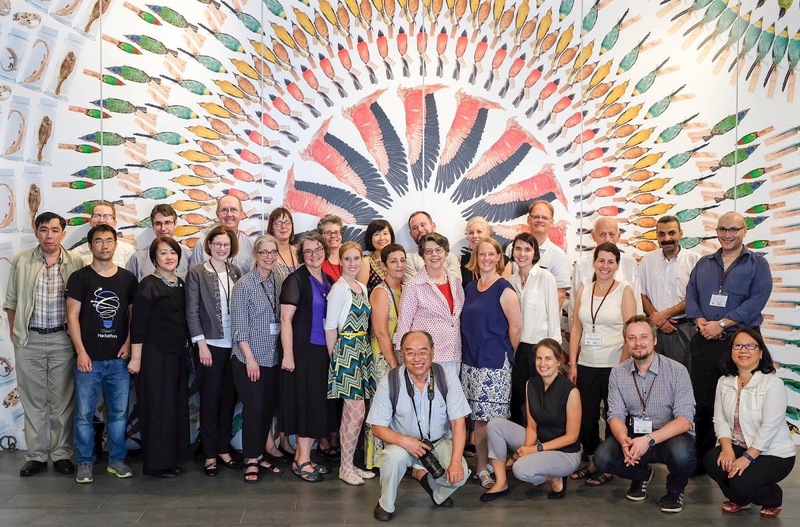 Read more about Librarian Travels: Global Biodiversity Heritage Library Meeting in Australia, part 1. Sears spoke to the IBA members on June 12, 2013 at the Palazzo delle Scienze, Univ. of Catania. During the week of June 10-16, 2013 the International Bryozoology Association (IBA) met at the University of Catania, Italy. Four MCZ affiliates are members of the IBA: Prof. Robert M. Woollacott, OEB graduate student Kira Treibergs, Mary Sears of the Ernst Mayr Library, and Dr. Judith Winston, associate in marine biology at the MCZ. Beginning on April 12, I had the privilege of attending the launch of a new partner in the BHL family: BHL Africa. On April 12, 2013, BHL and the University of Pretoria signed a Memorandum of Understanding as one step towards the BHL Africa.